Pretty unique for your baby or as a gift! 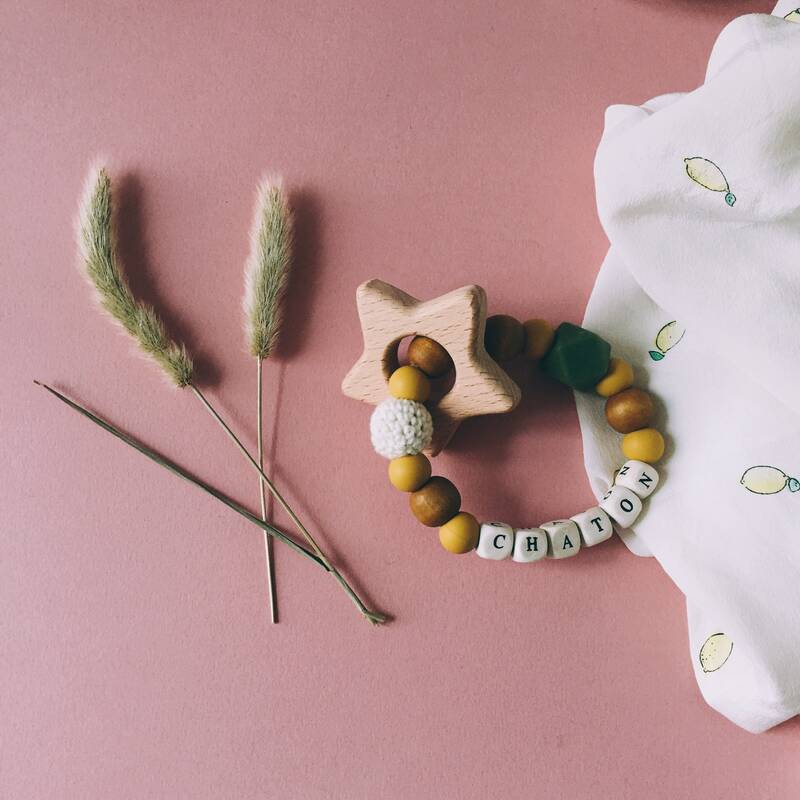 Chew untreated wood star beads silicone and wood, adorable! The pretty little ring teething kitten baby 100% handmade just waiting for you! It will reassure and entertain your baby! There is only one! And it's for you!